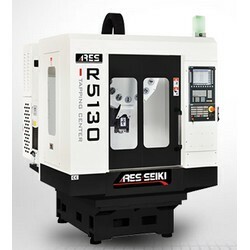 The R-series has a simple structure which is designed to maximize product quality, It yields high output, is easy to operate and is highly stable. Tool change time supplied with standard 60Hz power. For electrical requirements other than this standard, please contact one of our personnel. The company reserves the right to modify the specifications / design, subject to change without further notice. Actual specifications, based on order content.